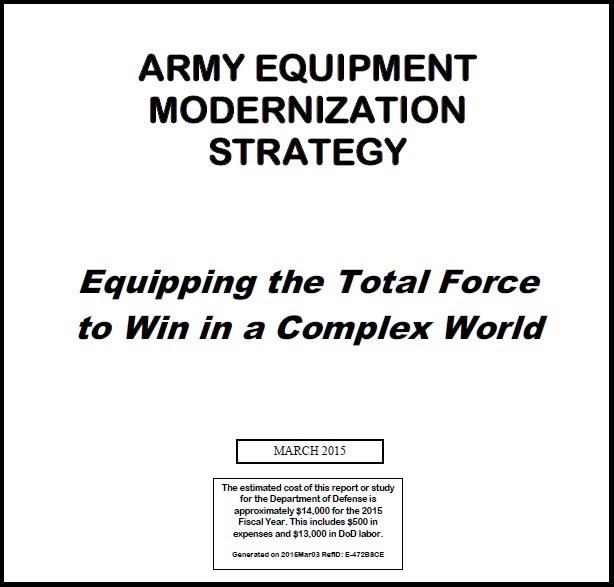 Download the 2015 Army Equipment Modernization Plan here. I’m pleased to announce that access to the FY 2014 Army Equipment Modernization Plan is now available to you through the American Business Development Group’s web site at ABDG.com. This plan is prepared by the Army G-8 and endorsed by the Secretary of the Army and the Chief of Staff of the Army. Although it is publicly available to the entire Defense Industry community, it’s been my experience that many don’t know how to access it. This plan clearly lays out Army portfolio equipment priorities and the associated funding against those portfolios. All of us can use the information provided to validate our product priorities against Army priorities and guide appropriate internal organizational funding decisions. It can also be used as a baseline document to guide discussions with Government and Industry officials. It’s well worth your time to read this document carefully, understand its content relative to your particular business interests, and refer back to it often. It is the one government document relative to equipment modernization priorities to which all others should be compared for consistency. Any questions about this document or the services provided by ABDG, please contact Kaitlyn Beech at kaitlyn.beech@abdg.com or 703-824-0300. 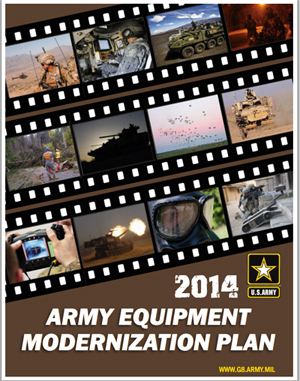 Download the 2014 Army Equipment Modernization Plan here.